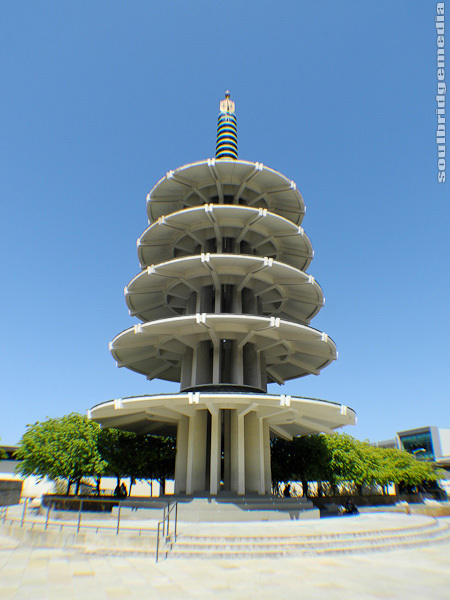 Japantown is a short bus ride from from Union Square, catching just about any bus on Geary St. will get you there. Arriving earlier in the morning will give you free run of the place, even though it didn’t seem to get very busy. 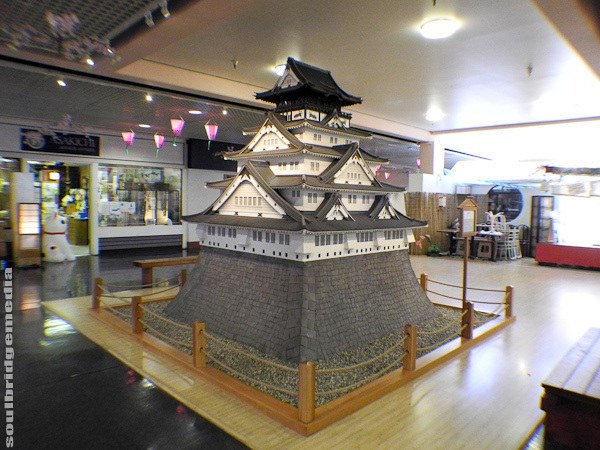 The “town” is based around a couple shopping centers sharing the Peace Plaza, an open area with the unmissable Peace Pagoda. Surrounding blocks house smaller businesses mostly restaurants and eateries, but having just had a big breakfast there was only one thing on our minds… TOYS! 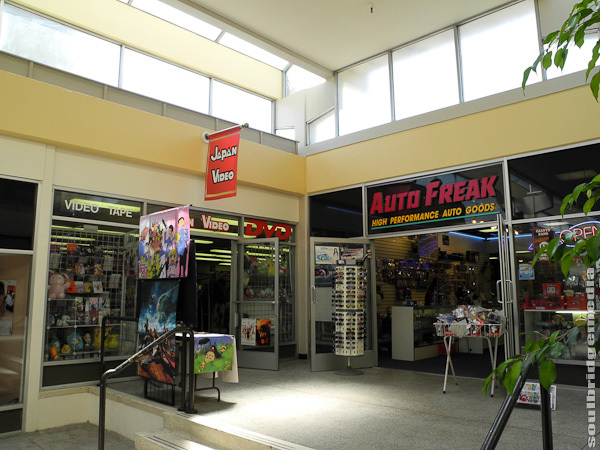 It is definitely one of the best spots in SF for anime and collectible vinyl figures, I will just list the major ones but in general, the place isn’t -that- big and can easily done in a couple hours of slow browsing. Japan Video – as the name suggests, lots of dvd movies and animated series, plenty of JDM stuff for sale and rental. Small selection of toys but a healthy range of plush items. Auto Freak – if you need to “Asian” up your car or if you want it to look like an EKKA showbag exploded on/in it then look no further this is the place with all manner of novelty knick knacks to do just that. Pedals, gauges, neon, covers, stickers, air fresheners, tissue box covers… you get the idea. They also have a range of die cast model cars and sponsored and novelty race/drift inspired shirts. Amiko – complete cuteness overload in this store with a fair portion of it dedicated to child and baby wear. Small range of men’s tees but the rest is all girls or kids. A few plushes but focus more on practical items based on popular characters like Hello Kitty, Doraemon, Domo-Kun etc. 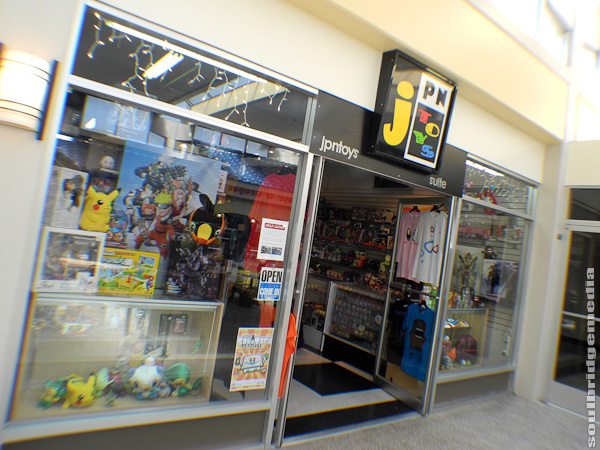 JPNToys – much more along the lines of a traditional collector toys store with all the staples – blind boxes, vinyl figures, action figures (Revoltech, Figma, Transformers), plushes and plenty of themed tee’s. Prices were pretty average, but there was a small clearance section and selected items on sale so resistance was futile when it came to a Gloomy bear wall clock for $18US. 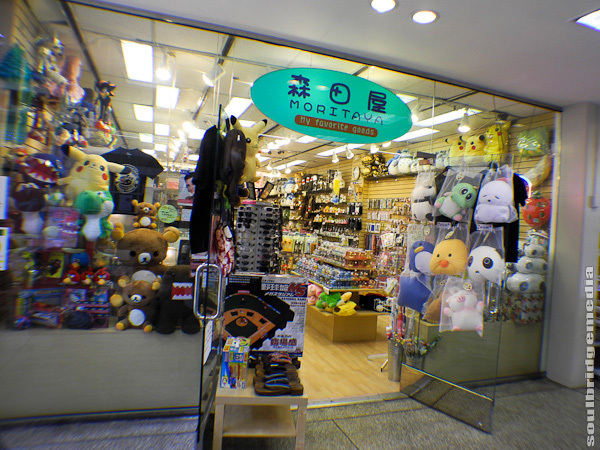 Moritaya – another explosion of plush with extra Rilakkuma and Pickachu and adaption of these characters to accessories like pens and keychains and household items. They also stock a selection of imported make up. 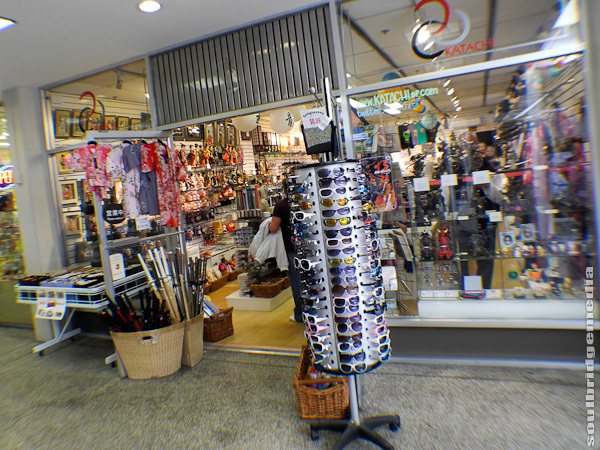 Katachi – this store had a lot of different bits and pieces but focused mainly on Japanese ornaments and souvenirs in the way of Kimono wearing dolls, framed artwork, lanterns and replica and full sized Samurai swords. There’s also a good selection of chef knives and pocket/hunting knives. This was also one of the few places we saw in SF that stocked Toki Doki shirts. Kinokuniya bookstore – is huge. Not just Japanese/Asian related either, there’s plenty of quirky arts and craft and cooking books. Downstairs has Manga galore, a huge range and more than likely the ability to chase after selected titles/issues for you. 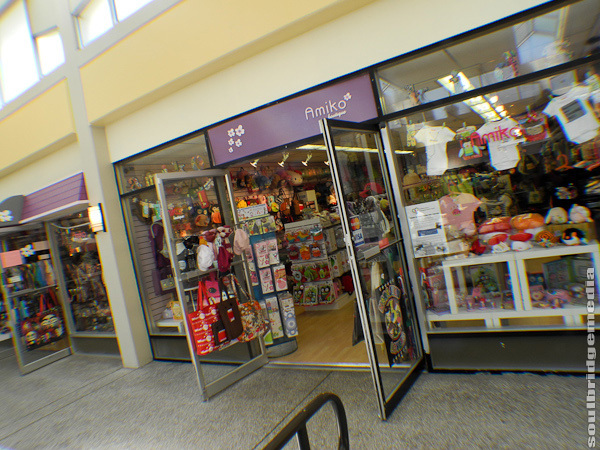 Ample stationary and a small selection of toys and clothing as well. The website is just as extensive with many country specific variations, Australia included. Japantown Collectibles – definitely saving the best for last with this one, easily my fave store in SF. 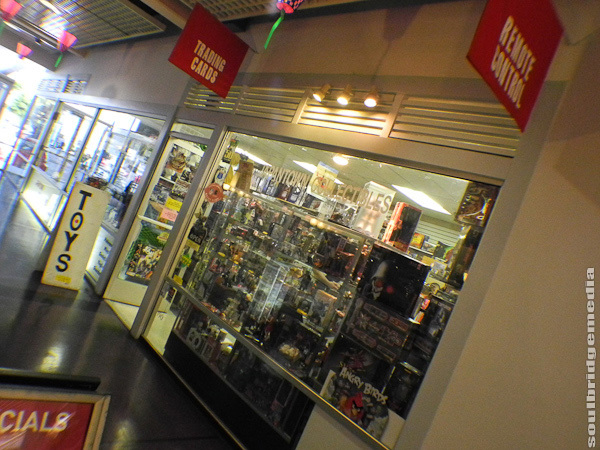 It’s an unfortunately small store crammed wall to wall, floor to ceiling with figures, models and collectibles. With the hoarding style of display it was both exciting to be hunting round for treasure and frustrating that a lot you couldn’t get to and while helpful, asking the staff every time you wanted a price or closer inspection got tiring rather quickly. Never the less the range of model car kits was enough for me to not walk out empty handed, sadly most items went begging due to the size of their packaging and the dwindling size of my luggage space! Next up, we head to THE bighouse, the Rock… Alcatraz.